Likuliku Lagoon Resort boasts the ideal setting for a honeymoon that you won't forget, or a romantic, relaxing couples escape in Fiji. The bures offer an amazing and spacious setting with a private deck and courtyard, all overlooking the blue water and beach. 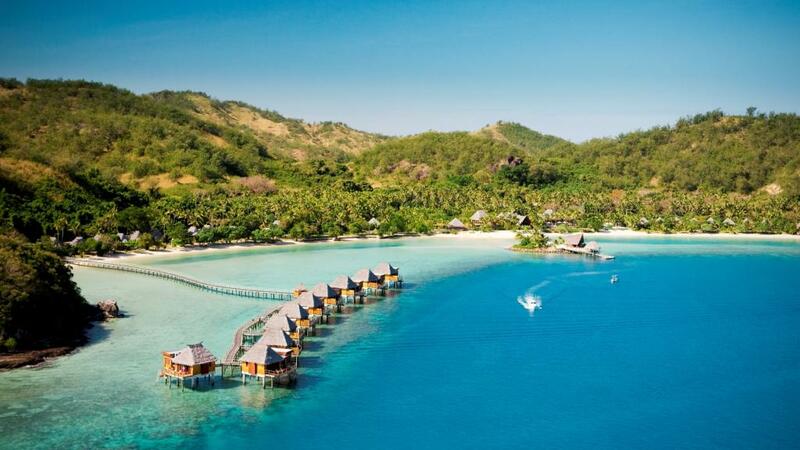 For an adults only Fiji holiday, Likuliku Lagoon Resort is for you! Likiliku Lagoon Resort is luxury five star Fijian accommodation, offering an amazing destination for a memorable honeymoon or romantic escape as a couple! The resort is an adults only property with only 45 bures overlooking the stunning lagoon & surrounding Mamanuca Islands. Enjoy relaxing on your private deck, head down to the crystal clear waters to enjoy some water sports or head to the day spa for a relaxing massage. If you are looking for somewhere uniquely luxurious then look no further than Likuliku Lagoon Resort.